7 Kids and Us: Shark Rocket Vacum is a Vacum and SO much more! Recently I had the opportunity to review a Shark Rocket Vacuum, and let me tell you, it's so much more than a Vacuum! This Never Loses Suction, Never Loses Power vacuum cleans as well as a full-size upright without all the weight of one! It cleans bare floors and deep cleans carpets. Swivel steering provides the ultimate control to get in and around obstacles and furniture. The versatility of this vacuum allows for floor to ceiling cleaning. Use the wand to reach high above or between narrow spaces. 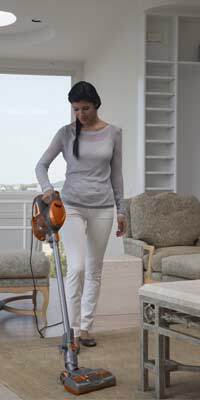 Use the handheld like a hand vac to clean stairs and furniture. The slim design is also great for cleaning under furniture. Includes a crevice tool, pet upholstery tool, dusting brush, Dust-Away with microfiber pad and home & car detail kit. This corded vacuum is portable and easy to store. The Shark Rocket is all I need for all my floors! I can't believe one machine can do all this work. The Shark Rocket cleans my kitchen linoleum with ease, as well as my very thick living room carpet. On top of that, with the attachment kit, I can clean just about anything! I found myself cleaning things I didn't even know were dirty, AND the kids ask if they can use it all the time to clean things....I LOVE IT! 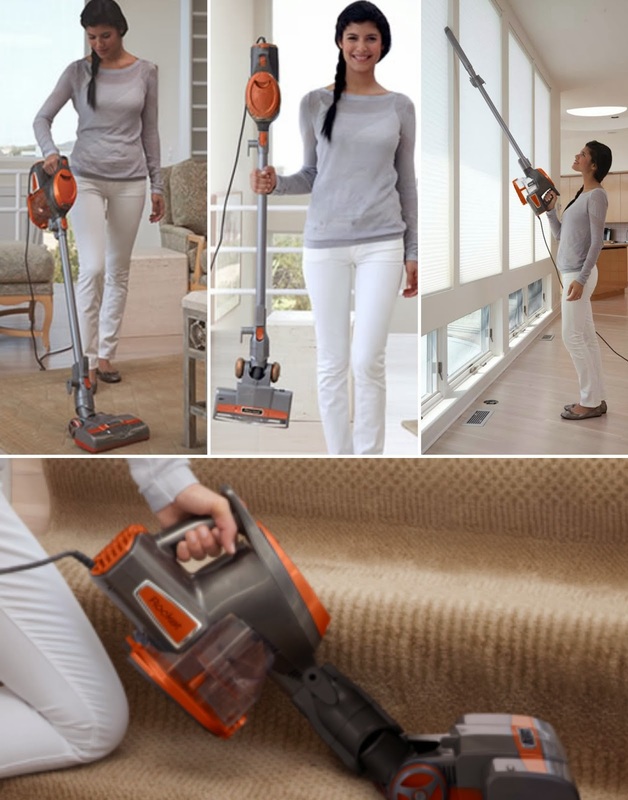 Shark re-engineered the full-size vacuum, focusing on the high-performance essentials and trimming away every unnecessary ounce to give you the ultimate in vacuuming versatility without sacrificing performance. High quality filters require minimal maintenance and never need replacing. Slot on the bottom of the dust cup that hooks on to the bottom of the wand or onto a wall with the wall mount. Wall Mount for unit storage without taking up closet space. Great for hanging the accessory bag too! Right now, you can purchase the Shark Rocket for just five payments of $39.99! Or you can purchase it on Amazon here for $199.99.